We’ve looked at the top 9 romantic places to visit in Ceredigion, a chance to explore the area with your loved one. There’s nothing like a romantic mini break for spending quality time with your other half. To give you a dose of inspiration, we’ve rounded up our top romantic places within easy driving distance of The Falcondale. Book a ticket for two on the narrow-gauge steam railway that wanders through the Rheidol valley. Hop aboard in the seaside resort of Aberystwyth and the engine will pull you up 700 feet along the hillside heading towards Devil’s bridge. At the final stop learn about the legend of Devil’s bridge, or should you be brave (and physically fit) take a walk down Jacob’s ladder and into the gorge. An episode of tv’s Hinterland was also filmed at this location. Following your return journey take a romantic stroll along Aberystwyth’s seafront. 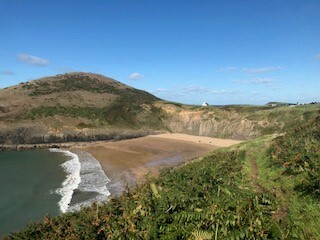 There are numerous beaches and coves along the Cambrian bay coastline, but we believe that Mwnt is the most romantic. It’s remote location on the headland has only one building – a small white washed church. The golden sands of the beach is it’s own private cove with crashing waves and rock pools nearby. Watch-out for porpoises and dolphins that can often be seen from the shoreline. The visitor centre is located at the head of a dramatic valley with walking trails and mountain biking trails leading you to the hilltops – where you can see the Cambrian Mountains up close and Cardigan Bay in the distance. Should you not be too adventurous stay in the coffee shop and view the red kite feeding spectacle (2pm GMT; 3pm BST), follow the easy barcud trail to get closer to the feeding centre. 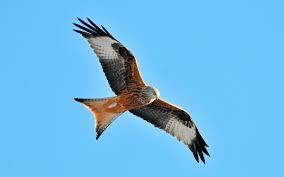 Expect to see over 150 red kites with their forked tails and swooping action. 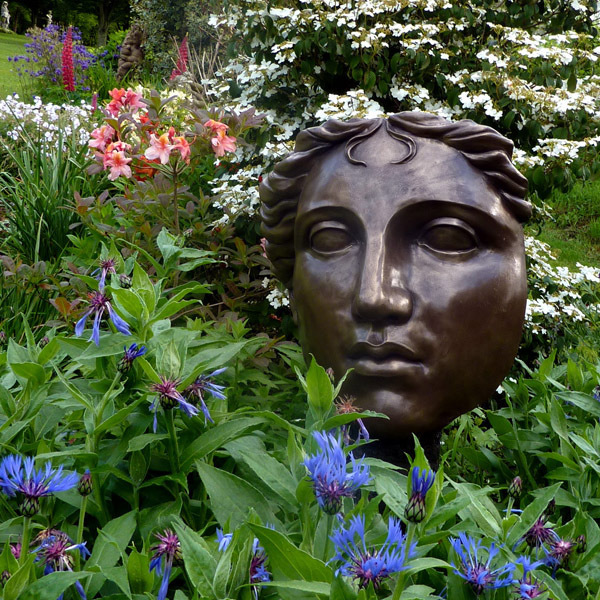 A hidden gem near Rhydlewis with themed and sculpture gardens within a two and half acre plot. Wander amongst flora and fauna and discover sculpture made of wood, stone and resin from the resident artist as well as contemporary British sculptors. Smaller and larger pieces available for sale within the gallery and take advantage of their tea room with homemade cakes and a sneak peek at the workshop. 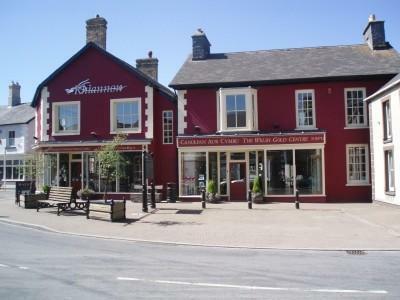 A centre for genuine Welsh gold with unique hand-crafted designs. Their workshop creates fabulous Celtic designs using the well-regarded Welsh gold mined from the area. The centre features local Welsh artists within the gallery and has a collection of historical Celtic artefacts demonstrating the progression of visual Celtic designs. A perfect stop should you be looking for a unique gift for your partner. A fun few hours can be had exploring all things “bees” at the Newquay honey farm. From watching the bees at work, exploring the hives and cold-pressing for the finished product. Before grapes were pressed for wine honey was fermented to produce mead, sample various types during your visit. A highly recommended tour of the Cambrian Mountains via your very own guide and his trusty Land Rover Discovery. Get collected at The Falcondale, or a pre-arranged spot and discover the wild tranquillity of Mid Wales in comfort. The area is beautifully diverse, has Instagram worthy landscapes, local history and wildlife. Whatever your particular interest your guide will take you to the very best spots! How adventurous are you both? How about a leisurely canoe trip for the two of you down the river Teifi, where your professional and knowledgeable guide will not only give guidance on the activity but tell stories of sea pirates and smugglers. 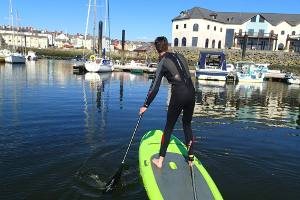 Picking-up the pace you could try out sea-kayaking, gorge walking or even coasteering! A most memorable and magical adventure could be arranged for the both of you to share. 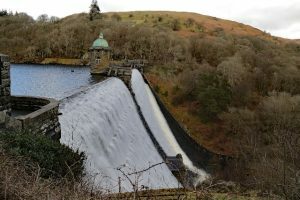 What better way to explore the ruggedness of the Cambrian Mountains than with a guided walk from someone who has spent many years on it’s hills, valleys and marshes. Options include iron age hill forts, summits, coastland, nature, heritage, waterfalls and dark skies. We would suggest contacting Dafydd directly and he can make suggestions based on your interest and walking level ability – which will very possibly include welcome stops for lunch. These 9 places are just our recommendations based on feedback from other guests and our own experiences. Maybe you can surprise your loved one by arranging a trip without their knowledge and bask in the envious cries of “I wish my partner was more romantic” from friends and family. 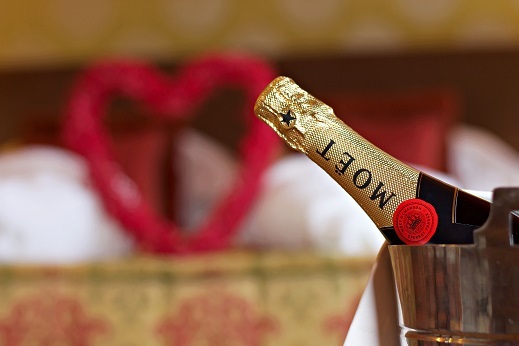 Get loved up on your next romantic trip and treat yourself and your special someone to an unforgettable couples’ getaway at The Falcondale.